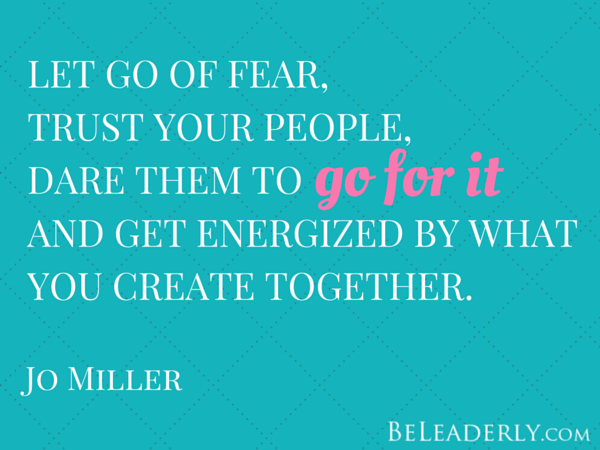 The thing that has always scared me most about being a leader is letting go of control. If only life was that simple. My busiest time of year, the fall conference season, was rapidly advancing, and the reality (or the impossibility!) of trying to do it ally myself quickly sank in. When a friend noticed my predicament and referred a great employee to me, I jumped at the change to hire her, and got giddy with excitement about what we can accomplish together as a team. I’ll introduce her to you when she starts in a couple weeks. and get energized by what you can create together.